I will try my best to resolve the issue ★ ★ ★ ★ ★. NEGATIVE Or. BEFORE OPENING CASE Or. I will try my best to resolve the issue ★ ★ ★ ★ ★. BEFORE OPENING CASE Or. NEGATIVE Or. As you may know that this is one of the rarest Spaceview models ever made, and it is very desirable among collectors. 100% collectible! Serial Number on back reads E51380 N1. For your consideration is this Bulova Accutron Spaceview. Watch has Stainless Steel Back. Watch casing has wear to gold plating and scratches on crystal. We are not responsible for any tariffs or import fees. The crystal is in very good condition. The strap is in very good condition. You will receiveONLY what you see in the pictures above. Actual photos shown above. ~ Running ~. For your consideration is this Bulova Accutron Spaceview M4 10K Gold Filled Bezel Watch. Watch is currently running. B4365L or 1 I am not sure even with the loop. We are not responsible for any tariffs or import fees. 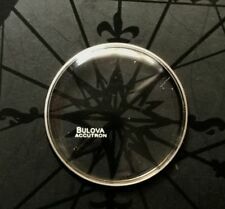 Very unique "hidden space view" is a very unique and scarce Bulova Accutron. what makes this exceptional is that it was serviced in November of 2018 and it is in great running condition. I took high resolution pictures in order to show every part of the watch ( All photographs are of the ACTUAL watch ). We are the only warrant of Rolex watches for sale. Runs great and keeps accurate time. Gold filled has case has scratches. Lugs seem to have a little bend to them. Crystal has some scratching. Brand new genuine leather band. BULOVA BOX & COVER BOX W/ ALL PAPERWORK. 10K YELLOW GOLD FILLED BEZEL. A CRACK ON THE BOX. This is a stunning example in excellent condition. My apologies for any reflections. This stunning watch dates M7 1967. anything not described but can be seen in pictures is considered described. 1962 Gold filled Stainless steel back Spaceview Watch! 1962 Accutron Rare yellow dot spaceview watch original band. For almost a 56 year old watch, it surely is a rare item and one not to be missed. BEFORE OPENING CASE Or. I will try my best to resolve the issue ★ ★ ★ ★ ★. I will try my best to resolve the issue ★ ★ ★ ★ ★. BEFORE OPENING CASE Or. Accutron Spaceview. working watch. BAND COLOR: green. CASE COLOR: silver. TOTAL HEIGHT: 40 mm. Case Ref: 1-256032. 1969 Gold filled Stainless steel back Spaceview Watch! 1969 Accutron Yellow dial and hands Spaceview watch. A Great watch For almost a 50 year old watch, it surely is a rare item and one not to be missed. WIDTH WITHOUT CROWN: 37 mm. working watch. TOTAL HEIGHT: 44 mm. CASE COLOR: silver. Watch sets and runs but has not been serviced by us and therefore is being sold as-is. Bulova Accutron. Bulova stainless steel and gold filled bracelet. 10k yellow gold filled and stainless steel. We are real people, working at a brick and mortar location, at your service. Accutron Spaceview. WIDTH WITHOUT CROWN: 34 mm. working watch. TOTAL HEIGHT: 39 mm. CASE COLOR: silver. Strap/Band/Bracelet- Currently on a Bulova brown leather strap. Case- gold filled fancy lugs case. Type- Wrist watch. It will be hard to find any in this condition anywhere in the world. 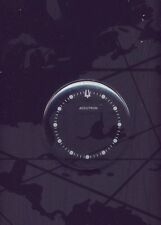 Accutron Spaceview. WIDTH WITHOUT CROWN: 34 mm. working watch. TOTAL HEIGHT: 39 mm. Case Ref: D20204. Accutron Spaceview. WIDTH WITHOUT CROWN: 34 mm. working watch. TOTAL HEIGHT: 39 mm. BAND COLOR: silver. CASE COLOR: silver. Case Ref: B 77078. Accutron Spaceview. BAND COLOR: dark green. working watch. CASE COLOR: silver. TOTAL HEIGHT: 39,5 mm. WIDTH WITHOUT CROWN: 33,5 mm. Accutron Spaceview. WIDTH WITHOUT CROWN: 37 mm. working watch. TOTAL HEIGHT: 42 mm. BAND COLOR: silver.